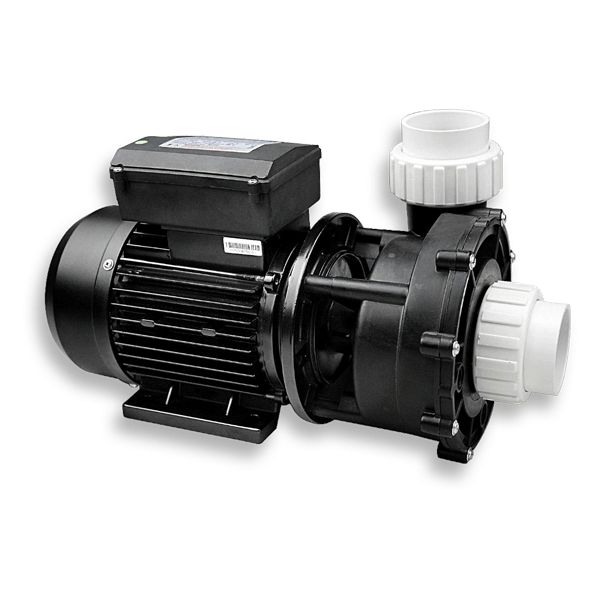 All our tubs come with top quality Australian SpaNet products giving you the latest in pump technology for ease of use and reliability. The pump unit is located on the outside of the tub wall enabling easier pump maintenance and providing more leg-room under the seat. NZ / Australia wide servicing. Control the pump, choose the light colours, set the temperature and the pump timer all from this user friendly digital touch-pad control. This is a 2hp 2 speed pump. It operates at low speed for a quieter, more efficient operation. High speed for therapeutic massage jets. 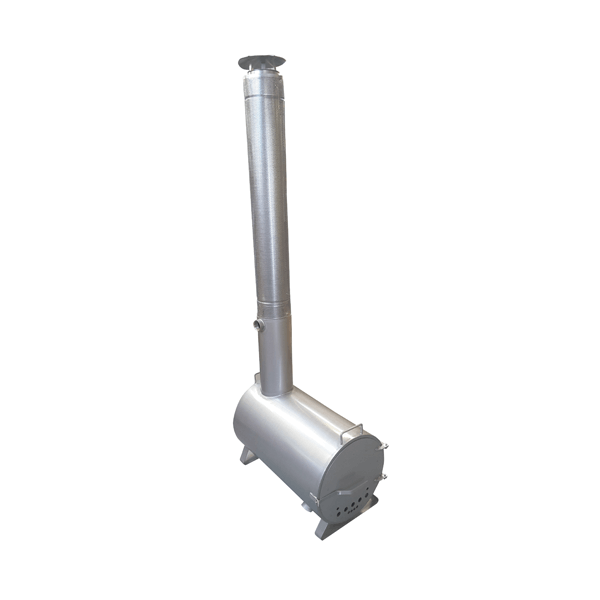 Our heater comes with a choice of either a 3kw element (15amp plug) or a 1.5kw element (10amp normal household plug). 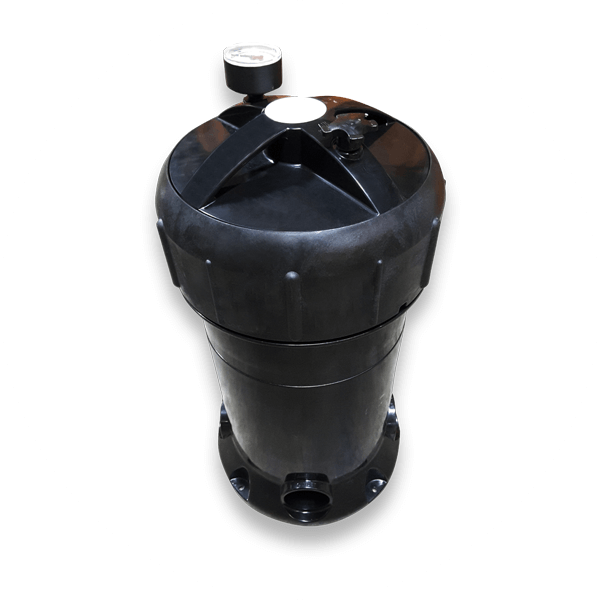 Large but compact cartridge filter with pressure gauge to show easily when the filter needs cleaning. Free spare filter cartridge included. 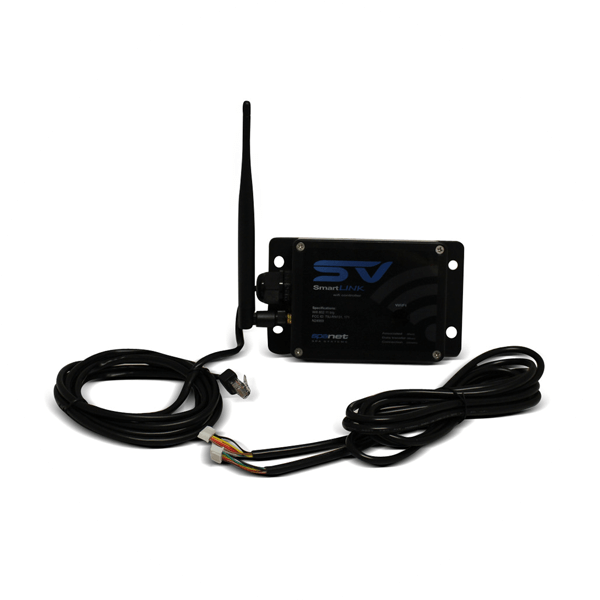 The PowerSMART SV Mini is a small spa control with big features. The compact control system and remote heater design offers complete flexibility for installation in spas with minimal space, but does not compromise on functionality with a host of advanced and energy saving features usually reserved for high-end premium spas. 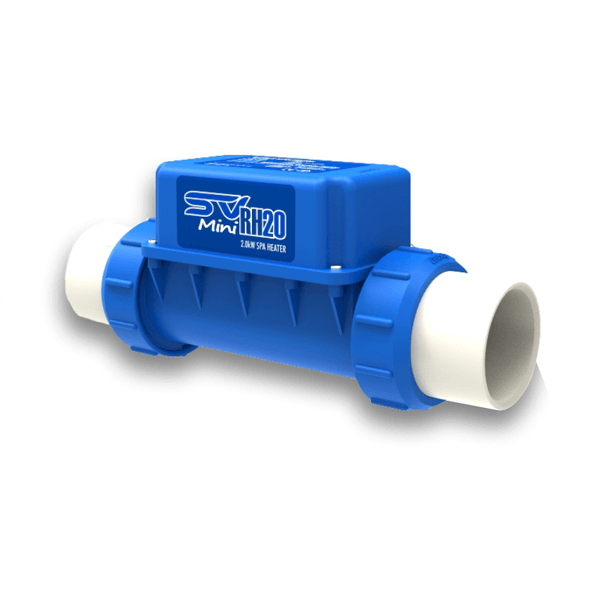 Intelligent PowerSMART technology like Dynamic Thermal Tuning and Smart Filtration are always at work reducing power consumption to ensure your spa costs less to run. Control your spa from anywhere in the world with the SV Mini technology like Dynamic Thermal Tuning and Smart Filtration WiFi module and SpaLINK app. 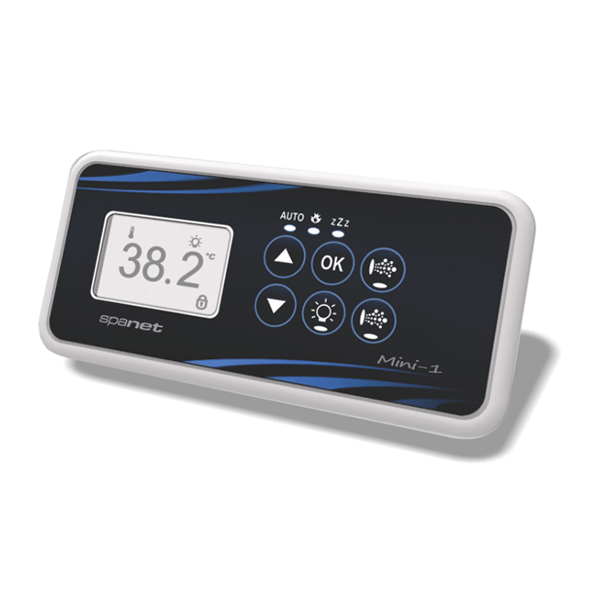 Adjust temperature, change are always at work reducing power consumption to ensure your settings, control pumps and lights all conveniently via your spa costs less to run. smart device. The WiFi module also enables SpaNET to provide global remote technical support and assistance. 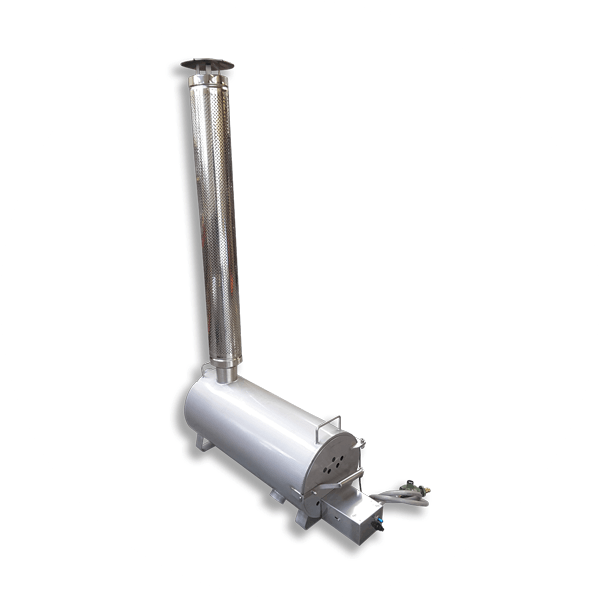 Heating by gas/wood-fired or wood-fired externally connected burner is an option by request. 2hp 2 speed pump. Low speed for a quieter, more efficient operation. High speed for therapeutic massage jets. 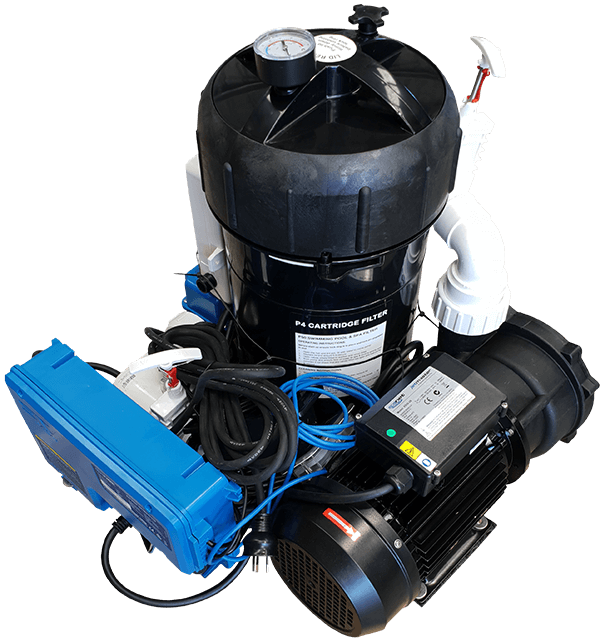 The pump unit contains the pump, filter, heater, ozonator and control box. 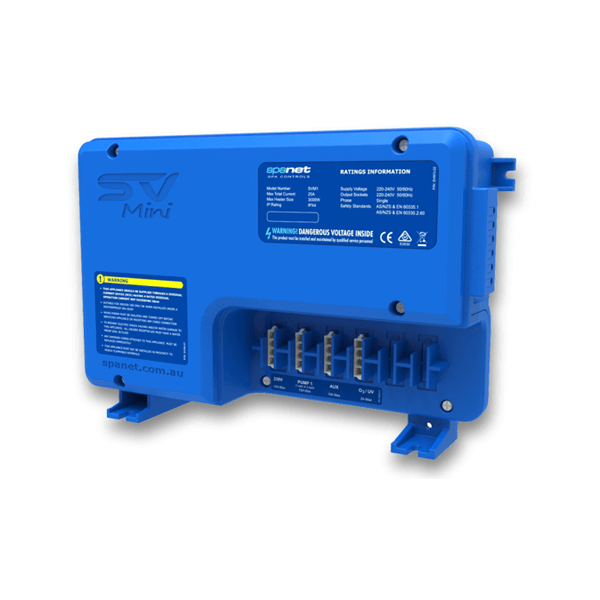 The control box is the ‘brains’ of the pump system which has the touchpad, light, wi-fi and a 5m power cable with either a 15amp or 10amp (normal household type) of plug connected to it. Everything comes all plumbed together and water tested on a plywood base. 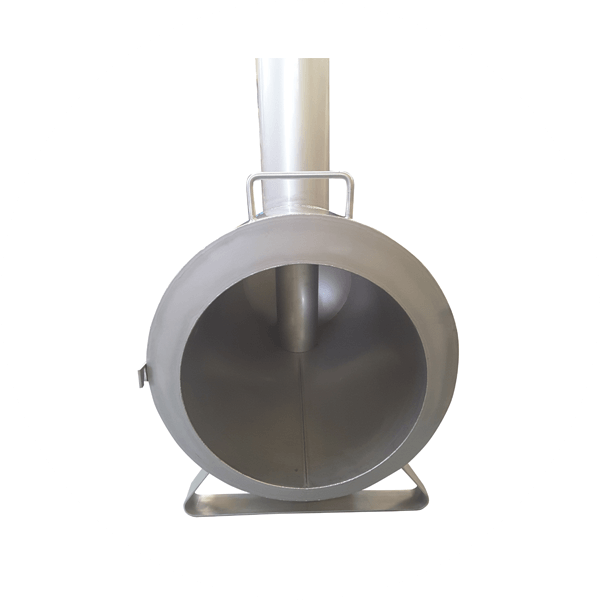 Comes with a NZ made stainless steel externally connected burner with 2 hoses and fittings. Fill tub with water then heat up using the wood-fired burner. Empty tub after use then refill and heat again. 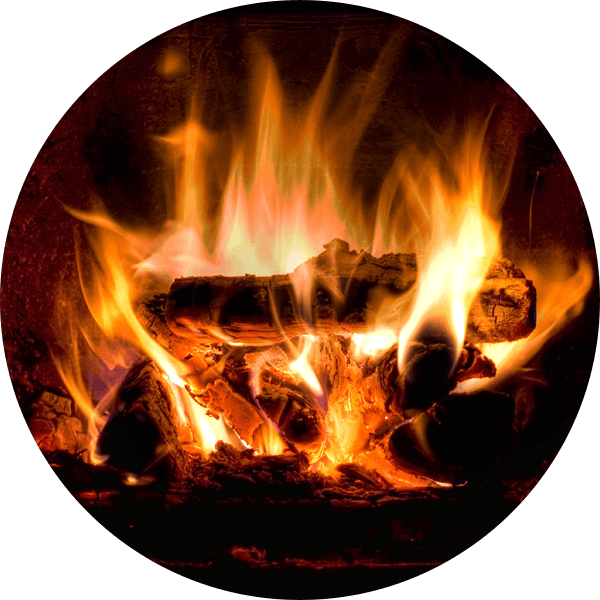 Prices for our wood-fired tubs are the same prices as our electric tubs.